They own and tend to their own vineyards, make their wine, bottle their wine, and design their own label..they actually have two labels – this one is my favorite. 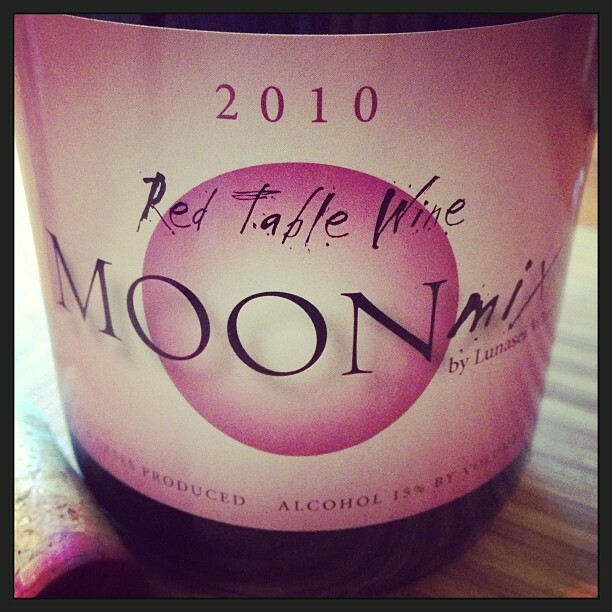 The Luna Sei Moon Mix 2010 Red Table Wine is actually a 50/50 blend of Syrah and Mourvedre. It had layers of blackberry, currant, cherry cola, clove, violet, black pepper, with a hint of eucalyptus and vanilla on the nose. I kept swirling it in my glass just to smell it. I couldn’t get over how much I was enjoying it. On the palate was a juicy blackberry, black cherry pie, spice, slight eucalyptus, soft tannin and a nice acidity. It went quite well with my pork pot stickers. 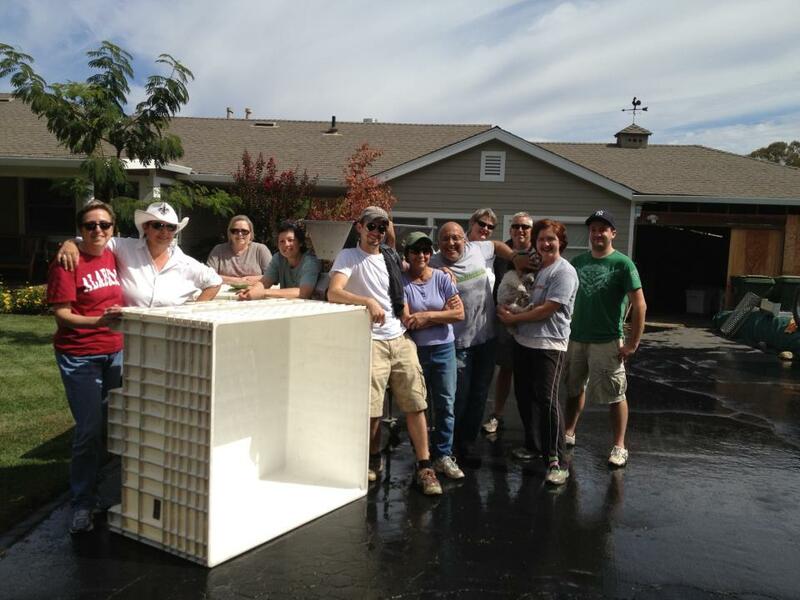 They just bottled their 2011 Merlot and 2012 Syrah Rosé – I can’t wait to taste those! !